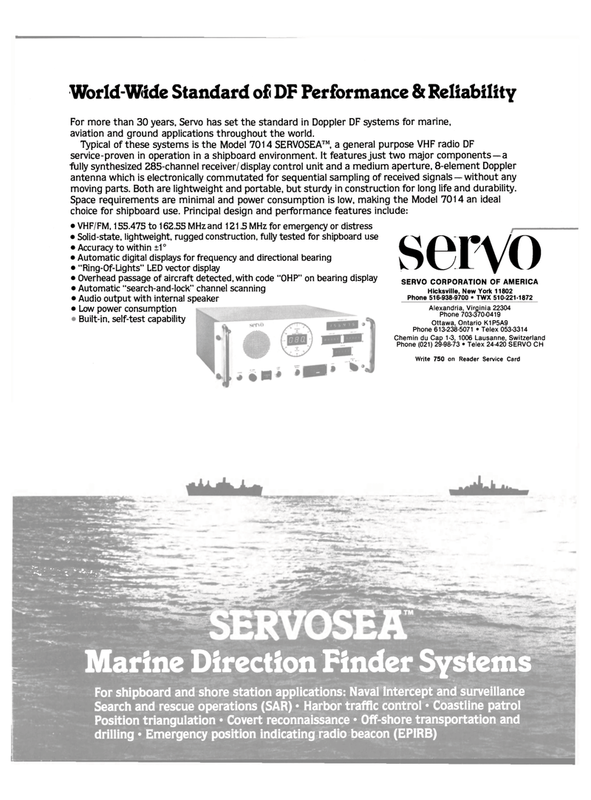 For more than 30 years, Servo has set the standard in Doppler DF systems for marine, aviation and ground applications throughout the world. Typical of these systems is the Model 7014 SERVOSEA™, a general purpose VHF radio DF service-proven in operation in a shipboard environment. It features just two major components —a fully synthesized 285-channel receiver/display control unit and a medium aperture, 8-element Doppler antenna which is electronically commutated for sequential sampling of received signals — without any moving parts. Both are lightweight and portable, but sturdy in construction for long life and durability.